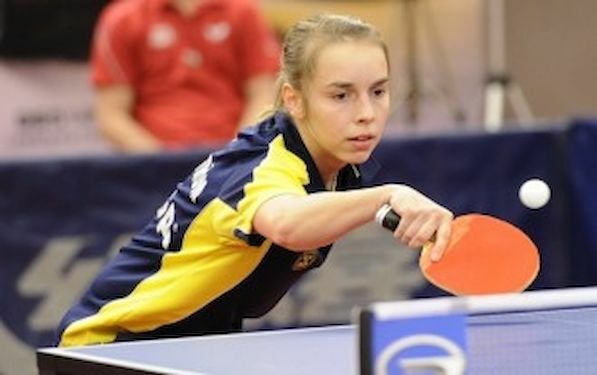 At the opening day at the GAC Group 2013 ITTF World Tour Swedish Open in Stockholm the host nation’s Linda BERGSTRÖM was the player to cause the biggest surprise in the qualification stage of the Women’s Singles event. Listed at no.367 on the Women’s World Rankings, she beat Japan’s Shiho MATSUDAIRA, named at no.76 in five games; a meritorious win especially when taken into consideration that Shiho MATSUDAIRA is the highest World ranked player in action in the first phase of the Women’s Singles event. However, the efforts of the 18 year old defender, who represents the Stockholm based Ångby Club, were in vain. Earlier in the day, she lost against Naomi OWEN of Wales. China’s GU Ruochen beat Russia’s Valentina SABATOVA, Yuka ISHIGAKI defeated Pauline CHASSELIN of France; whilst Spain’s Sara RAMIREZ accounted for Sweden’s Josefin LUND and the latter’s colleague, LI Fen, the European champion, overcame Russia’s Svetlana MOKHNACHEVA. In men’s Singles Event Jesper HEDLUND of Sweden ranked at the position no. 605 in the World beat World’s number 172 LEE Chia Sheng of Taipei, whilst in all other groups favorites prevailed.